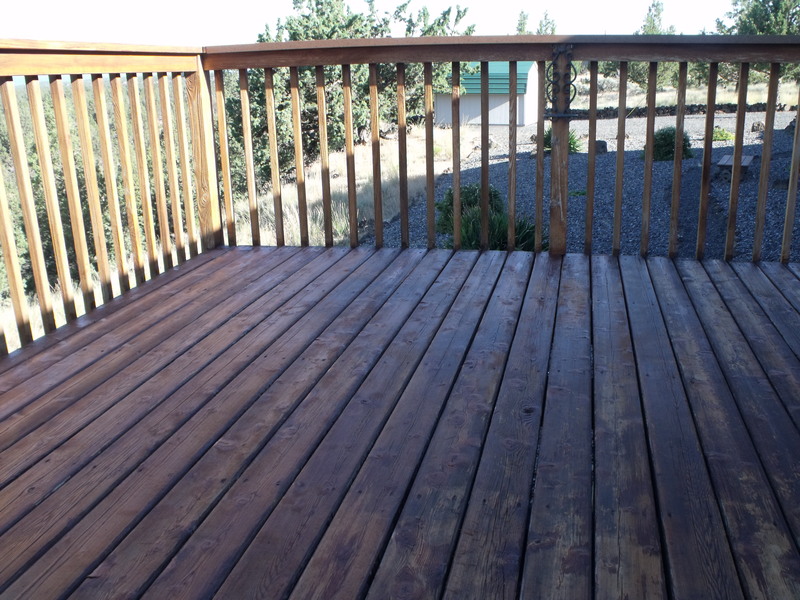 The weather of the high desert has a very adverse effect on wood. 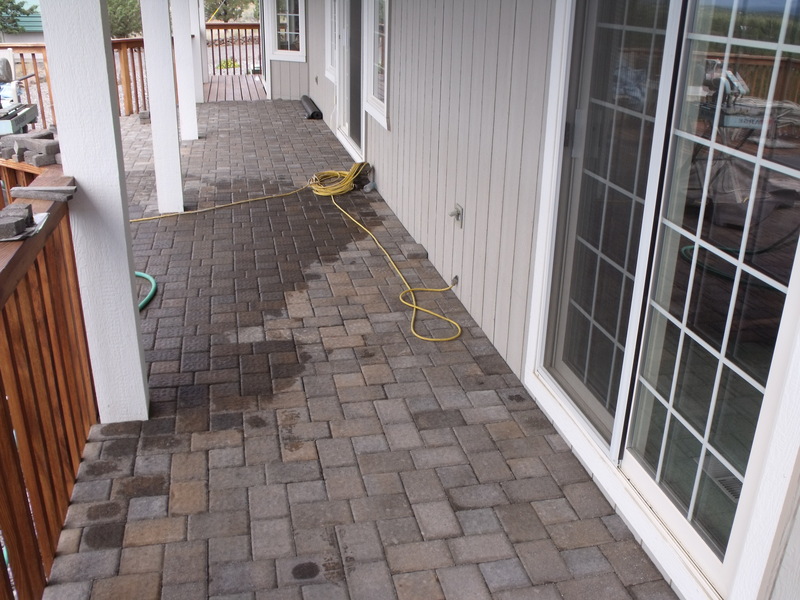 One way to renew an old wooden deck is to overlay it with pavers. Thin pavers make a very nice surface with a minimum of extra weight. 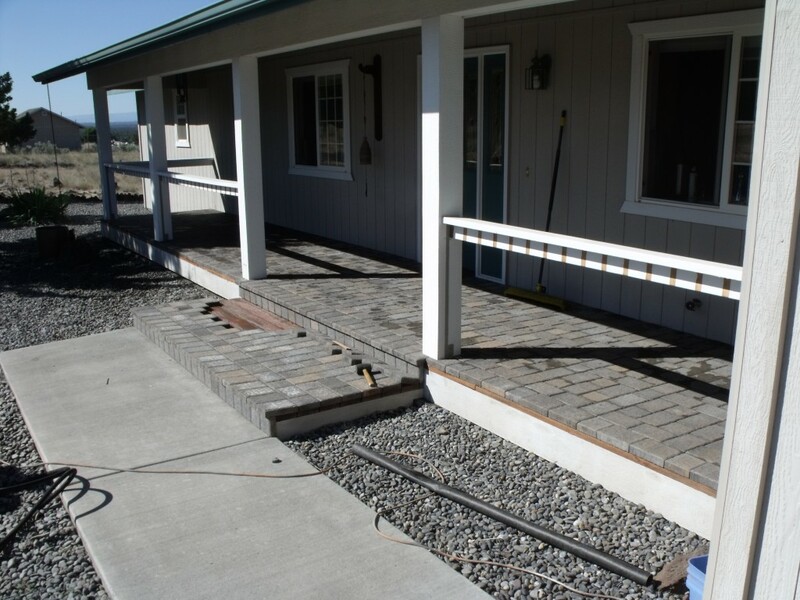 The existing wooden deck support system needs to be structurally sound to carry the extra weight. An inspection of the whole structure needs to be made before deciding on an overlay. This deck is 15 years old and has lost it’s luster . The hand rail has also dealt with the sun for too long so we over laid it with a metal cap. 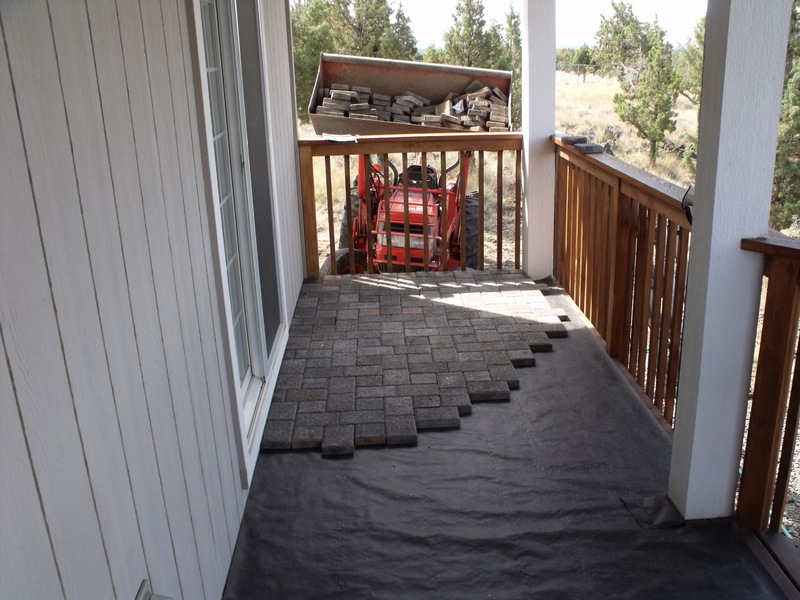 A mesh material is laid down on the deck and then the pavers. A tile saw or brick saw is needed to make the edges work. 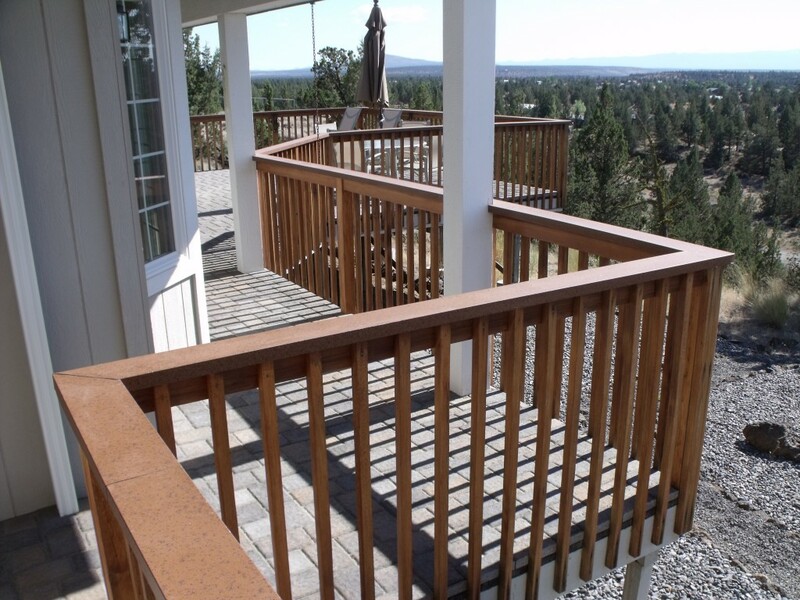 One major consideration is what the increased height of the deck does to any doors or stairs. Facing the stairs with cut pavers makes a nice transition. An extension in the stair area makes for a toe kick to make climbing easier. This shows the metal cap on the railing. 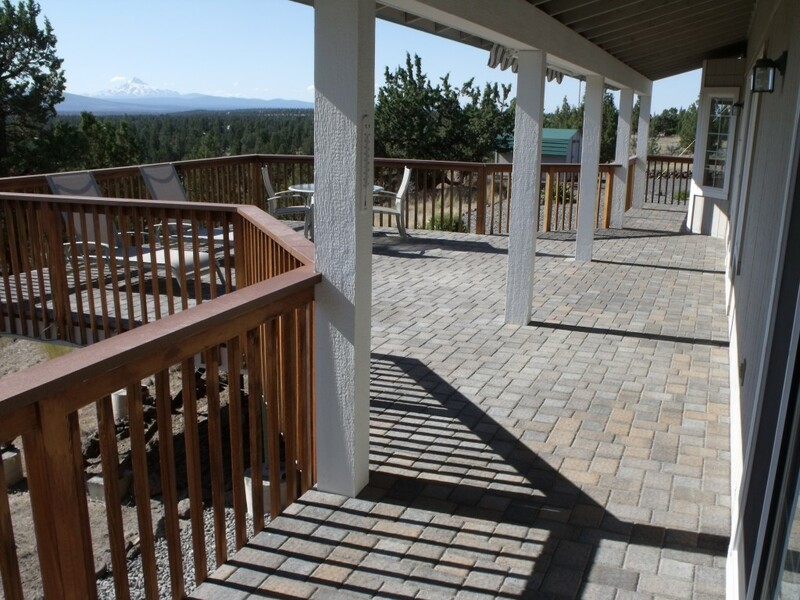 Pavers lend themselves to most any angle with a good saw. me to enhance his deck.